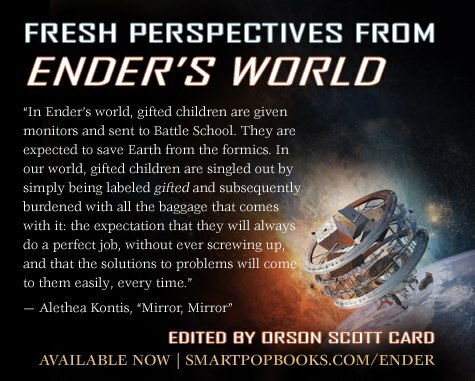 ENDER’S WORLD, with my essay “Mirror Mirror” (about the fairy tale tropes in Ender’s Game) is now available for purchase! This entry was written by Princess Alethea and posted on April 14, 2013 at 8:01 pm and filed under Essays. Bookmark the permalink. Follow any comments here with the RSS feed for this post.